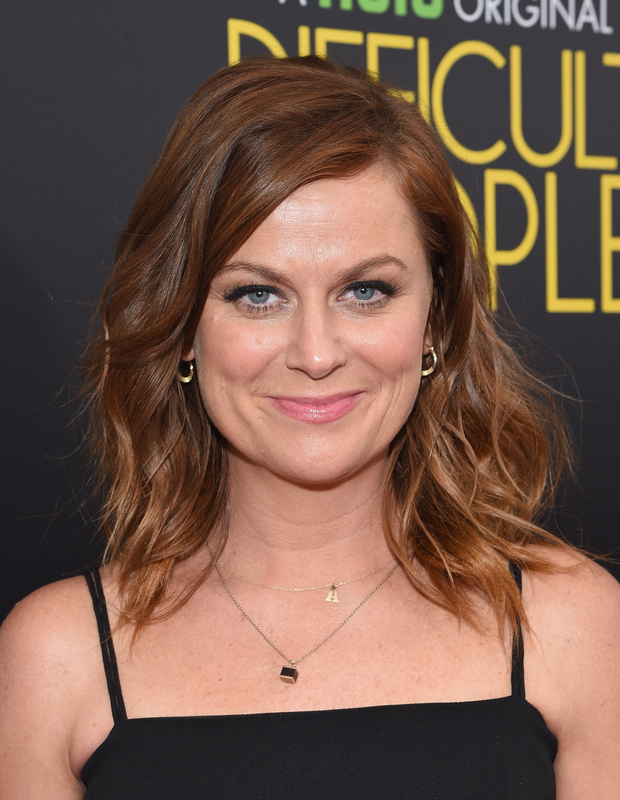 Amy Poehler has been busy since Parks and Recreation went off the air. Shortly after Inside Out and Wet Hot American Summer, she has a new project: a royal family comedy for NBC called Dumb Prince that Amy Poehler will executive produce alongside Mindy Project executive producer Charlie Grandy. Grandy wrote the half-hour comedy, which will tell the story of a royal family, including a presumably dumb crown prince. Deadline reports that the prince will attempt to "run the family business his way," which presumably means a whole country, while his family tries to cope with tabloid attention. Grandy and Poehler, who previously worked together on Saturday Night Live, will executive produce alongside Brooke Posch and Dave Becky. This news, alongside Tina Fey's new NBC show, as well as Office writer Mike Schur's upcoming sitcom, suggests that the network is counting on its previous successes to bring them more. And it makes sense; who wants to bet against Tina Fey or Amy Poehler? Dumb Prince walks familiar ground in another way; the subject of a royal family has provided lots of comedic fodder on television, books, and cinema. Whether it's because people think royalty are silly, or they're just interested in a little lighthearted wish fulfillment, the topic has proven ripe for comedy. If Poehler and Grandy can follow in these royal comedies' footsteps, they'll do just fine. The Princess Diaries books and movies are amazing, and there should be more media about smart, funny, socially conscious women out there. The complicated family dynamics in the story would be difficult, but impressive, to replicate. The BBC's faux-reality show features two aristocrats, far removed from the throne, as they travel around the U.S. It's cringe comedy at its best. This classic Audrey Hepburn rom-com does a great job showing how being royal and famous can be isolating. Also, get a load of that trailer. Star-crossed royalty plots are amazing, and hopefully Dumb Prince will be able to do a send up to this rom-com. The hilarious Rowan Atkinson series showcased the ineptitude of royalty over the ages. Lots of dumb princes. Though Dumb Prince doesn't appear to be fantastical or musical (shame), it hopefully will be able to blend pop culture with antiquated tradition as seamlessly as Ella Enchanted. While lots of royal territory has already been explored, it seems that the dynamics of a royal family are fairly new ground, and I imagine Grandy and Poehler will have a great time with it. While we don't know much about this project so far, my hopes are certainly high.